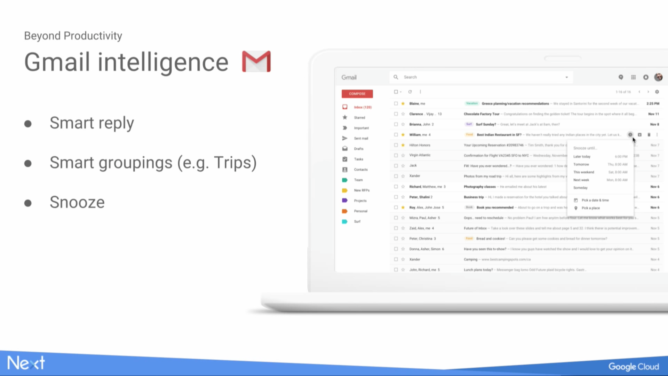 The web interface of Gmail is soon getting a makeover and several new features. 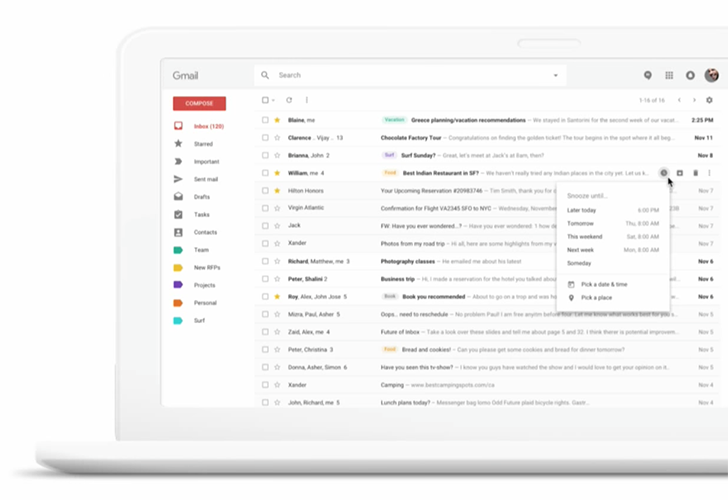 Gmail is one of the most popular and feature-packed email client in the world, though there are a number of significant differences between the desktop and mobile versions. Some great features will be addressed in an upcoming update. The first visual effect will be a simplified toolbar and an introduction of some large and colorful icons for the labels in the column running down the left-hand edge. Overall it will be a clean new look that feels far more modern and visually appealing – much like the mobile app on iOS and Android. Gmail will also be improved by the addition of Smart Reply to the Web Interface after adding it to the Mobile App a while ago.The feature is designed to help you save time by suggesting quick responses to your messages. Also coming to Gmail for desktop are Smart Groupings and Snooze, which can help you organize your messages and ensure you don’t get overwhelmed. Smart Groupings automatically groups related emails together for you, while Snooze will let you delay incoming messages. The options coming to Gmail are: Later Today, Tomorrow, This Weekend, Next Week and Someday. You’ll also be able to choose a specific date and time for messages to come through a location. Unfortunately, there’s no word yet on when Google will roll the new features out to users.